Atmospheric ozone plays a vital role, absorbing the ultraviolet solar radiation and heating the air, thus forming the stratosphere itself. If not absorbed, UV radiation would reach Earth's surface in amounts that are harmful to a variety of lifeforms. Climate change may lead to increasing ozone depletion, especially in the Arctic. Observation and prediction of the ozone variability are crucial for the investigation of its nature and the prediction of potential increase in surface UV radiation. 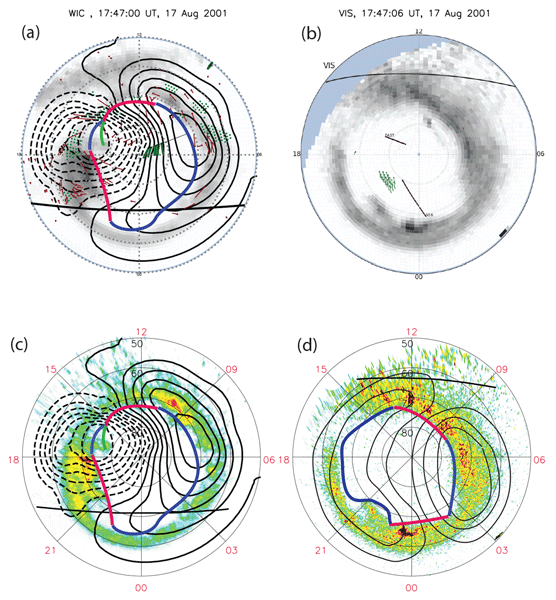 The frontal region of Earth's magnetic shield, the magnetopause, is very often impacted by high-speed jets of solar origin that can trigger multiple geophysical effects. Our study brings novel results that contribute to understanding the dynamics of such structures. 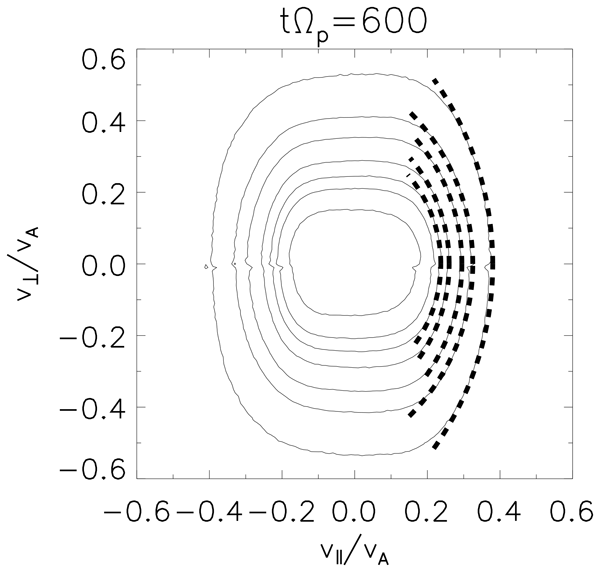 We performed advanced simulations and demonstrate the formation of a peculiar particle distribution of the energy (the crescent-shaped electron distribution) at the edges of plasma jets interacting with the magnetopause. Can an interplanetary magnetic field reach the surface of Venus? Venus has no intrinsic magnetic field. 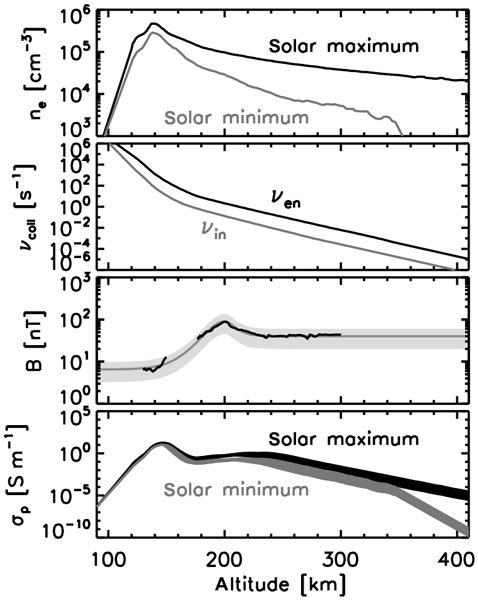 On the other hand, we discover that an interplanetary magnetic field may nevertheless penetrate the planetary ionosphere by the diffusion process and reach the planetary surface when the solar wind condition remains for a sufficiently long time, between 12 and 54 h, depending on the condition of ionosphere. Extreme meteorological events such as SSWs induce variabilities in the ionosphere by modulating the atmospheric tides, and these variabilities can be comparable to a moderate geomagnetic storm. The equatorial electrojet (EEJ) is a narrow ribbon of current flowing over the dip equator in the ionosphere and is particularly sensitive to tidal changes. 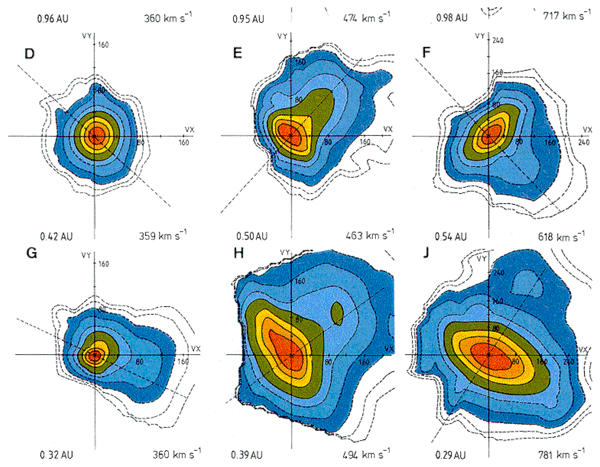 In this study, we use ground-magnetic measurements to investigate the semidiurnal solar and lunar tidal variabilities of the EEJ during SSWs. 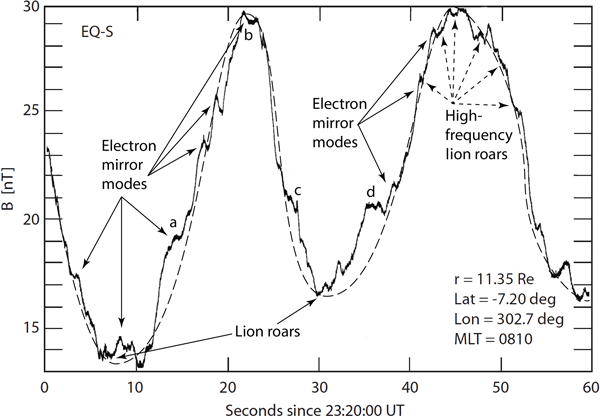 Historical AMPTE-IRM and Equator-S (Eq-S) observations of magnetic mirror modes in the magnetosheath already support the probably coexistence of ion and electron branches on the mirror mode. We have developed a user-friendly program that can efficiently deal with extensive amounts of airglow data. 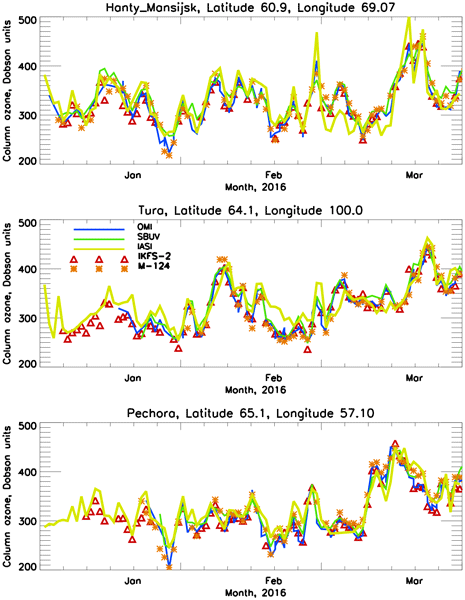 We have applied this new program to airglow data obtained at different latitudes in polar, midlatitude, and equatorial regions and demonstrated distinct differences in atmospheric gravity wave (AGW) propagation characteristics and energy distribution. We aim to encourage other AGW research groups to use the program and do comparisons to reveal AGW characteristics on a more global scale. Carbon dioxide (CO2) clouds have been frequently observed in the Martian middle atmosphere. There are still uncertainties concerning the formation of the clouds. 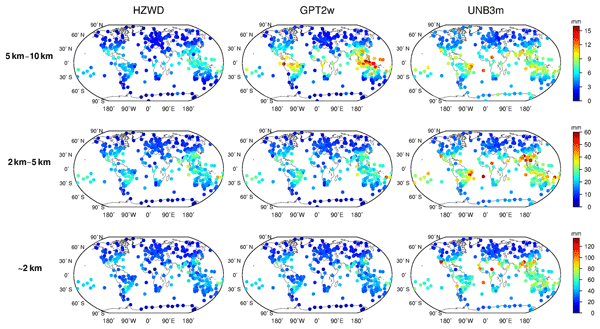 Using an atmospheric model for Mars, including a gravity wave parameterization, we assess the role of gravity waves in cloud formation. 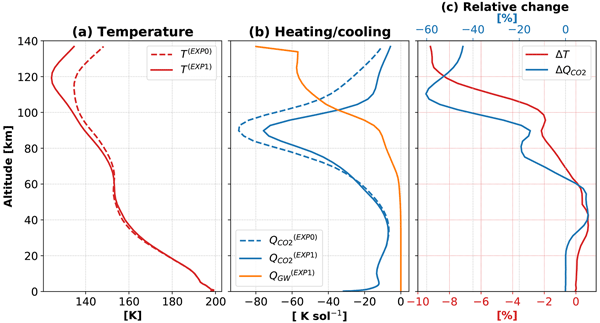 Simulations suggest that gravity wave processes constitute a necessary physical mechanism for CO2 cloud formation in the Martian upper atmosphere during all seasons. Space plasmas are assumed to be highly active and dynamic systems including waves and turbulence. Electromagnetic waves such as Alfven waves interact with one another, producing daughter waves. 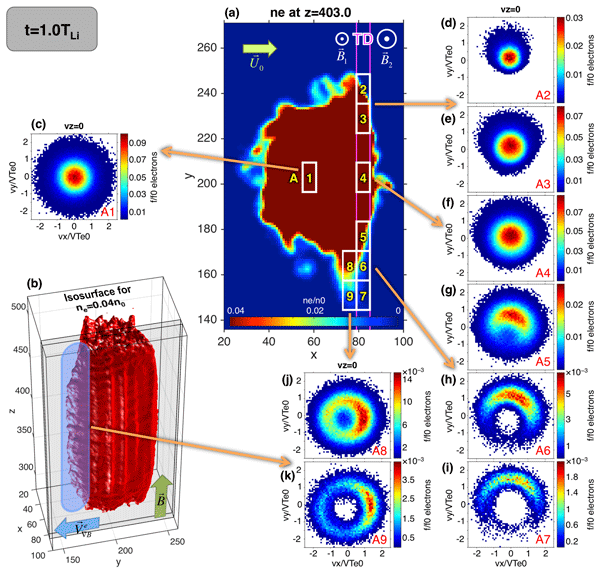 In our study based on three-dimensional hybrid simulations, we emphasize the role of obliquely propagating daughter waves in particle heating in low-temperature (or low-beta) plasmas. The evolutions of plasma turbulence, wave dissipation, and heating are essential problems in astrophysics. 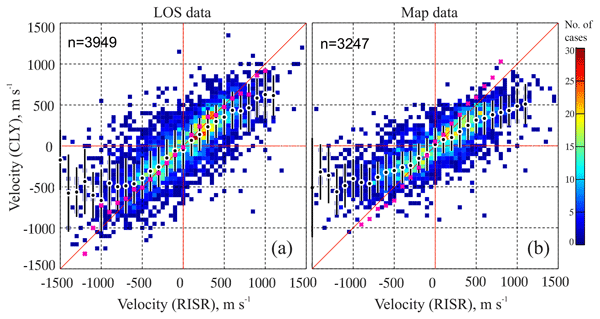 Clyde River (CLY) SuperDARN radar velocities reflecting plasma flows in the ionosphere are consistent with measurements by the incoherent scatter radar RISR. While agreement is good in the range of RISR velocity magnitudes of 0–700 m s−1, CLY velocities become progressively smaller at faster flows. In one example of strong disagreements between the instruments, by 200 m s−1, the radars monitored strongly sheared flows. 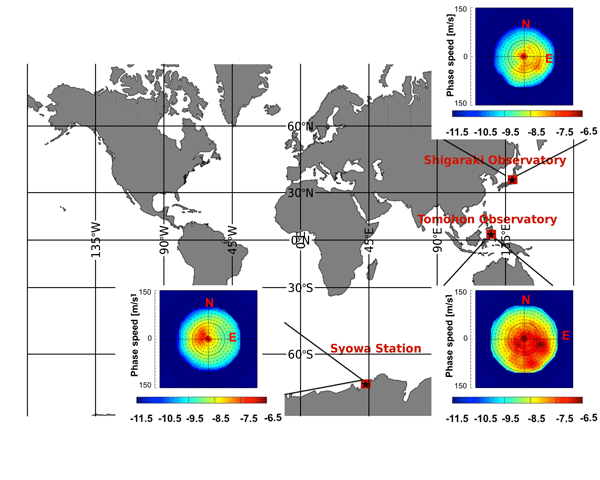 Validation of the CLY radar confirms the reliability of SuperDARN operation.